Turning your generator on, or keeping it going, can be difficult at times, especially when the sparks stop flying. One way of reigniting the flame is to reconsider how you power your welder. A generator is one option here, but the fluctuations in power levels that it provides can be problematic. Connecting to the mains may work for smaller projects, but when you start taking on more complex ones, you need a really powerful electricity supply. So, how do you give the machine the consistent strength it needs without blowing it completely? Here it pays to consider a welder/ generator combo. But, considering how much these cost, how do you know you are getting the best Engine Driven Welder Generator and not a dud? Not to worry, we have done the research for you and narrowed it down to the top three models so that you can choose with confidence. Hobart is the name you choose if you never want to go wrong. This model it the clearly the best welder-generator combo, offering outstanding performance. It starts up like a dream and will help to power your welder and other power equipment as well. It has an auto-idle feature to enable it to use less gas and to help cut down on the noise. Maintenance is simple, and you do not need any special tools to perform an oil change. At a little over 3 feet long, and coming in at the lightest weight, this is the best portable welder generator. It puts out DC to ensure that the arc is smooth. It is ideal for longer projects as the construction is extremely sturdy and allows for an amazing 100% duty cycle. This 11, 000-watt generator will provide power for many hours of heavy-duty work. One receptacle set at 120/ 240 volts. Reset circuit breakers easily at the touch of a button. This is still an excellent choice. It is also an 11, 000-watt generator and can provide either AC or DC when it comes to power. That makes it possible to do all kinds of welding – TIG, MIG, flux-cored, and stick. Is a fully-functioning backup generator with a good fuel capacity that will provide power all day. The engine is completely encased and protected so it will withstand conditions that are less than optimal, like at a building site. With a 23-horsepower engine that is air-cooled, you cannot go wrong with this model. It is rugged and built to last, and it doesn’t mind getting down and dirty. Miller is a name that is synonymous with quality. It comes in at third position on this list simply because its duty cycle is only 60% when running flat out compared to the 100% offered by our top two models. That said, don’t write this one off. 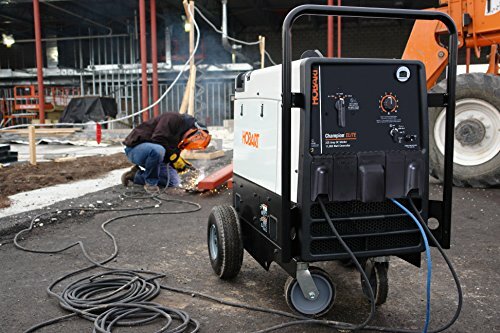 It is definitely the best value for money option because it also offers AC and DC power so you can also use it for TIG, MIG, flux-cored, and stick welding. It is an 11, 000-watt generator like the others but the auxiliary power is slightly lower. The other big advantage is that you can choose a propane-, diesel- or gas-driven model – which is something the other two do not offer. So, you get to choose the type of fuel that works best for you. The other advantage is that this model runs a lot more quietly than the other two thanks to the way it has been designed. It is also a lot lighter than the Lincoln at 501 lbs. 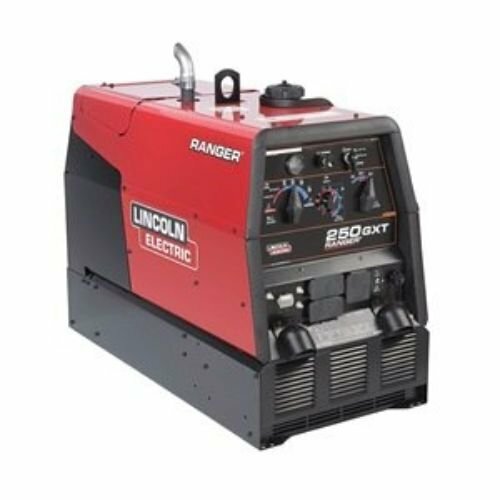 So, you are considering buying an engine driven welder generator, but you are not sure what to look out for? Here are some tips on choosing the best machine for your needs. How Many Processes Do You Need? The more varied your welding projects are, the more processes you are likely to need. It makes sense to consider, in this case, a generator that has AC and DC power to allow you to do a lot more. This is a fairly substantial investment, so it makes sense for you to consider not only your current needs but also your potential future needs. The options that we reviewed came in at around the same price level mark but generally speaking, the more processes the machine can perform, the higher the potential costs. Having said that, however, you do not want to cheap out now, only to find out later that you need to replace the generator in a couple of years’ time because it is not versatile enough for your needs. Start off by determining first off what kind of power you need. Do you need alternating current, direct current or a machine that can do both? Alternating Current machines: These will usually cost a little less and end up being lighter and easier to transport. This is because the current does not have to be converted, and so there is left machinery needed inside. If all you are doing is some stick welding, they are perfect. Also, these are the better power providers for tools like drills and grinders. These are an ideal field option. AC/ DC: To facilitate both types of currents, you need extra components, and so you can expect to pay more. You can also expect the machines to be heavier and bigger. What you get in return is a far more versatile generator. One that you can use to power almost any kind of welding. The big advantage with welding and direct current is that the arcs are more stable, no matter what materials are being used, and the results are a lot more predictable. It can also be used to power most power tools, lights and a range of other items as well. These generators will run on one of three types of fuel – propane, gas or diesel. Some companies offer you a choice which fuel-type you prefer when you order. You will need to choose which type works best for you. Gas: This is what most generators run on. It is fairly inexpensive and easy to come by. It is also easy to transport and store – something that needs to be considered when considering your fuel source. Diesel: This is better for when you need to be running the machine for longer periods or in extremely cold working conditions – like when there is ice and snow. The advantage is that these tend to outlast the other types, but you will pay for this added benefit. Propane: It is not always the first kind of fuel that comes to mind when thinking power generation and it can be a more expensive option. It does not provide quite the same amount of power but is a cleaner source of energy. Good for restricted spaces. We tend to think that a larger tank size is always going to be better, but there is more to it than that. How much energy you are drawing will make a difference to the amount of fuel used and so will the fuel type itself. All of the models that we reviewed are enclosed. These tend to be heavier, but they are also going to last longer. They will run more quietly than tube frame models. Think about where you will be using the generator. It is likely that it will take a bit of a beating – first getting it to the site and then on the site itself. That is why it really does not pay to buy a cheaper quality one. For durability, enclosed options beat tube frame ones every time. Think of all the moving parts in an engine. Would you drive your car without a hood? Of course not, it would get too much debris in it and would be more at risk of being damaged. Generators are not quite machines at the best of time. But, with careful design, the noise can be reduced. You could wear protective gear to reduce the effects of the noise, so this might not seem like a big deal. It is something to consider when you are working in a residential area, though. Zoning laws are usually quite strict when it comes to how much noise you can make and what time you can make the noise. The lower the sound the generator puts out, the later you can work. You do not want to have to be a rocket scientist to have to operate a piece of machinery. After all, if that was your calling in life, that is what you would have done. The simpler and better labeled the control panel is, the better. Think about how easily you would be able to adjust the settings with your gloves on and how easily you can see them. Truth be told, this is an area that is still lacking. Take our reviewed options, for example. The Hobart is the lightest at 490 lbs. It is also compact in design. Even so, it is still three feet in length and pretty heavy. So, portability here is something of a relative term. However, if you want the power, and the increased durability that comes with one of these enclosed models, you have to find a way around it. With the above options, you are able to attach a wheel kit to them, making it a lot easier to move them around on site. But you better eat a big breakfast or get some help when it comes to moving these beasts. These machines are not cheap if you want a good one. If you are still unsure of the benefits, see if you can rent one or see it in action somewhere. It is not an easy thing to overcome budgetary constraints when buying this kind of equipment, but a simple “cost per use” calculation should tell you if it is worthwhile. Even at a duty cycle of 60% for the Bobcat, it runs rings around a lot of your standard welders. Factor in the usefulness on sites where there is no power supply, and the value goes up even more. 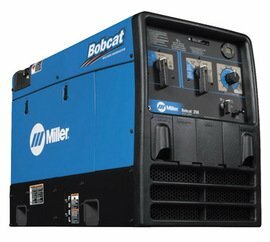 That wraps up our reviews of engine Driven Welder Generators. We hope that you have found these reviews helpful and can now make a better-informed decision about turning your welder on. The best model in terms of overall performance is the Hobart Champion Elite 500562. It offers consistently good performance, is nice and compact and weighs a lot less than the others. The best choice in terms of value for money is the Bobcat. 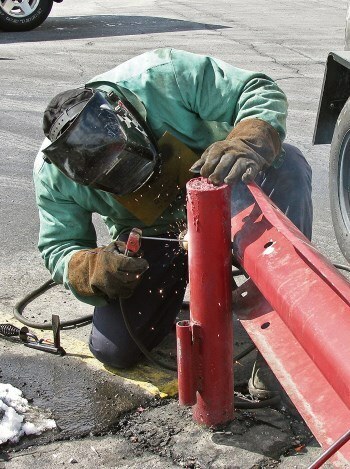 It is the most versatile in terms of welding and is compact in size. That said, you will not go wrong with any of the three options that we reviewed here. 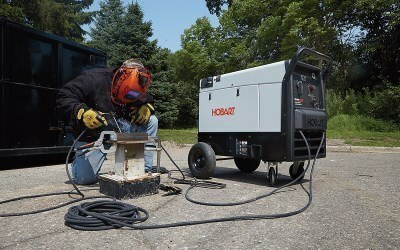 220v MIG welders compared: which is the winner?